Pain caused by Plantar fasciitis could be extremely painful. Especially when you don’t wear supportive shoes or sandals for plantar fasciitis. For one thing, unsupportive flat sandals don’t offer sufficient arch support and tend to strain the ligament in your foot that supports the arch of your foot. To make matters worse, continued strain from standing, walking and running can cause this ligament to swell and become irritated; which further, produces your heel or foot pain. With this in mind, if you searched for Best Sandals for Plantar Fasciitis and landed here, you are on the right track! From our experience, we understand unsupportive sandals tend to worsen your pain. For this reason, we have compiled a list of Best Sandals for Plantar Fasciitis based on customer reviews, shoe features, and brand reputation. The stylish Aetrex Jillian sandals are extremely comfortable and stylish. 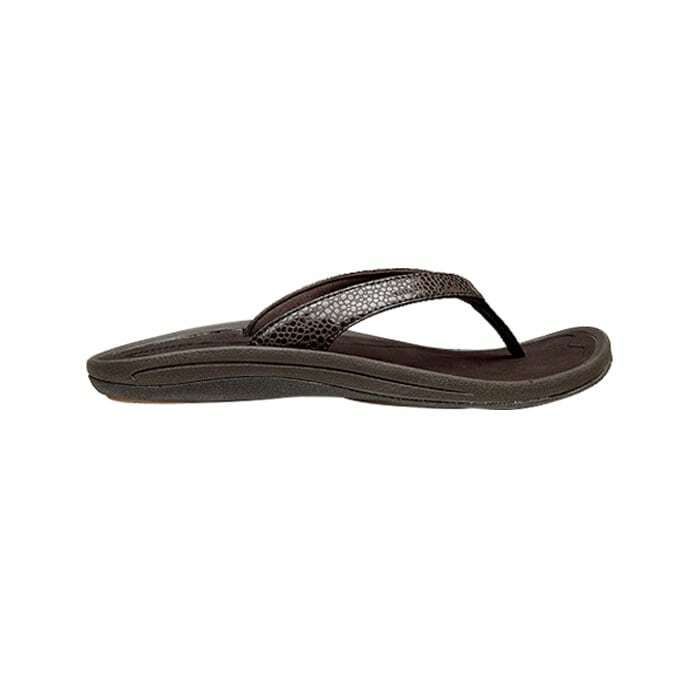 This women’s sandal is recommended for those with plantar fasciitis or common foot pain. 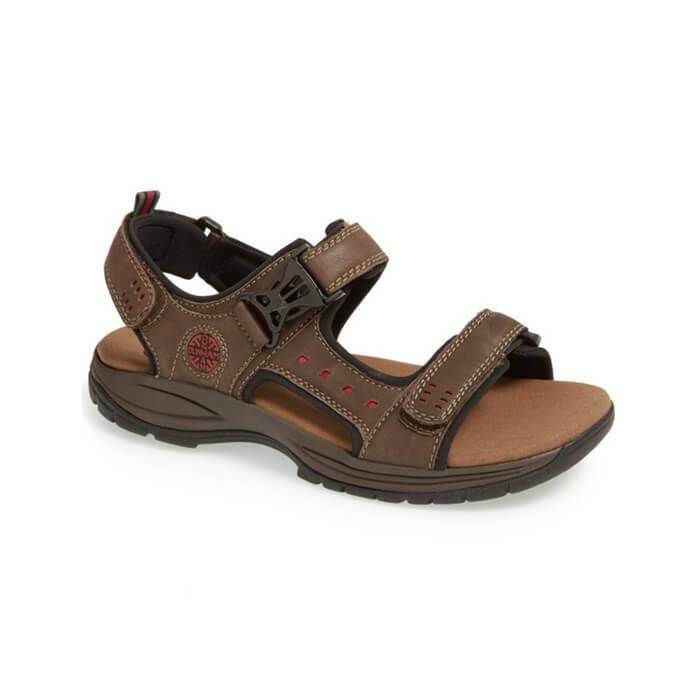 Constructed with the Aetrex arch support, that is biomechanically placed to help align your body and its signature braided detail makes these sandals both comfortable and stylish. In addition, its fully adjustable straps create a perfect fit plus a padded heel and ultra-light cork midsole for great shock absorption. Overall, the Aetrex Women’s Jillian’s are perfect stylish sandals for plantar fasciitis. 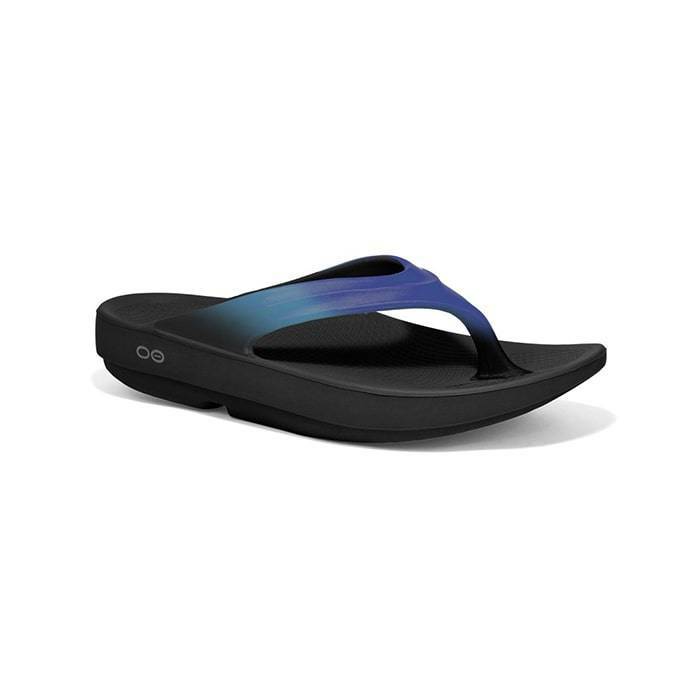 The OOFOS Women’s and Men’s thongs are one of the best sandals for plantar fasciitis for its unique technology and features. With patented OOfoam technology, OOFOS sandals absorb impact, cradle your arches and allow you to move naturally. Its foam footbed conforms to your foot to provide a more customized support. Not to mention, it’s also a great recovery thong as it helps soothe and reinvigorate your feet after a workout. Finally, the OOfoam is easy to clean, does not absorb water and is machine washable. First of all, Vionic is known for their Orthaheel technology which helps promote alignment from the ground up. As a result, the Vionic Amner is biomechanically designed to hug your arches and support your feet in comfort. Its built-in orthotic helps promote alignment from the ground up and is shown to be effective in helping reduce pain associated with plantar fasciitis. In addition, the Vionic Amber offers four points of adjustability for completely customizable comfort. Overall, Vionic is a perfect choice for all-day comfort, so don’t wait and shop the best sandals for plantar fasciitis. 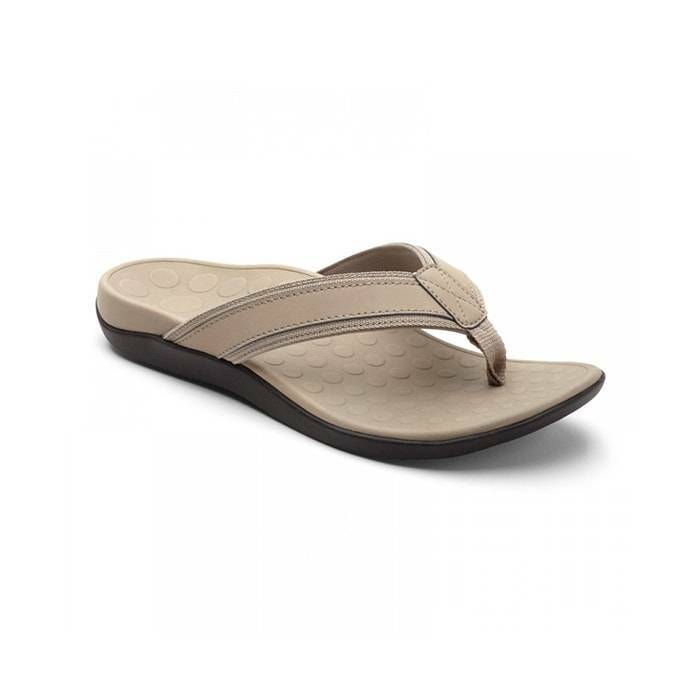 This Aetrex Bethany is a comfortable and supportive women’s sandal that can be worn all day. 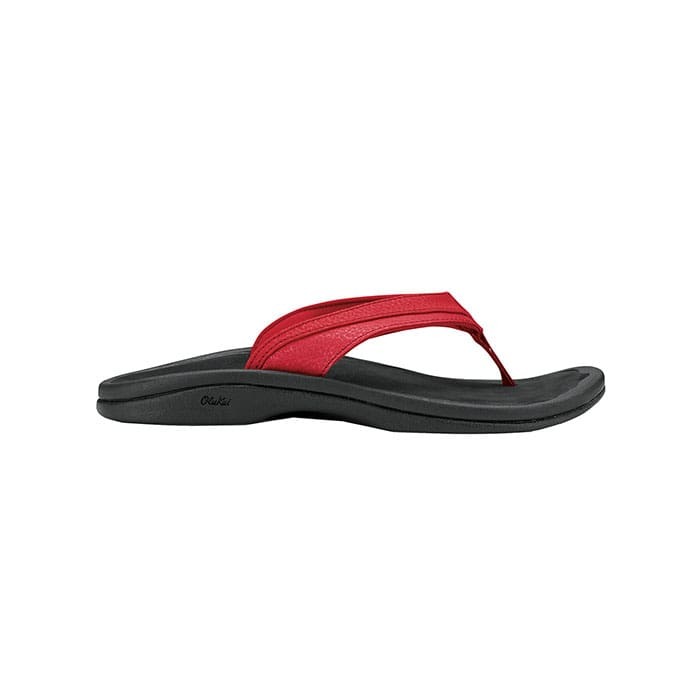 Constructed with the Aetrex arch support, this sandal helps provide proper alignment for your knees, hips, and back. In addition, its suede lined footbed customizes to your foot with slow recovery memory foam cushioning. 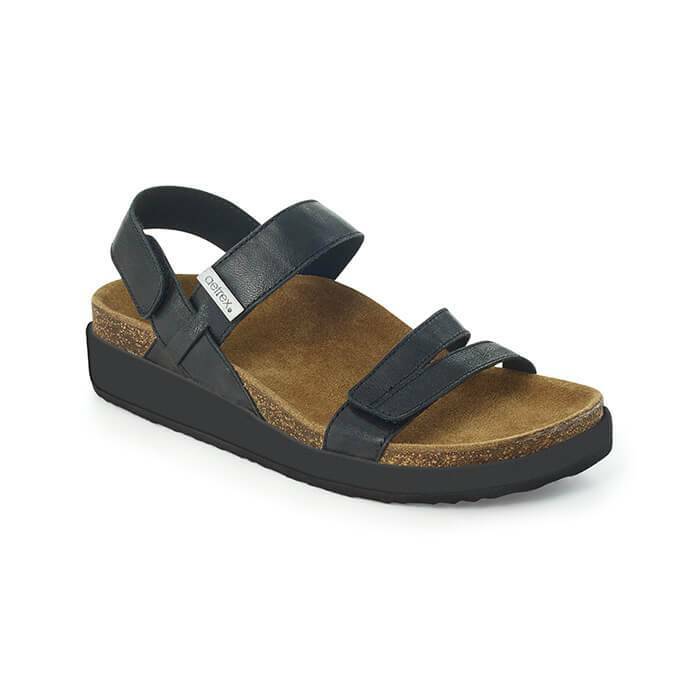 Not to mention, the sandal’s fully adjustable hook and loop strap provide flexibility for any foot width, while the addition of a bunion pocket adds extra comfort where you need it most. Aetrex’s are always beast sandals for plantar fasciitis. 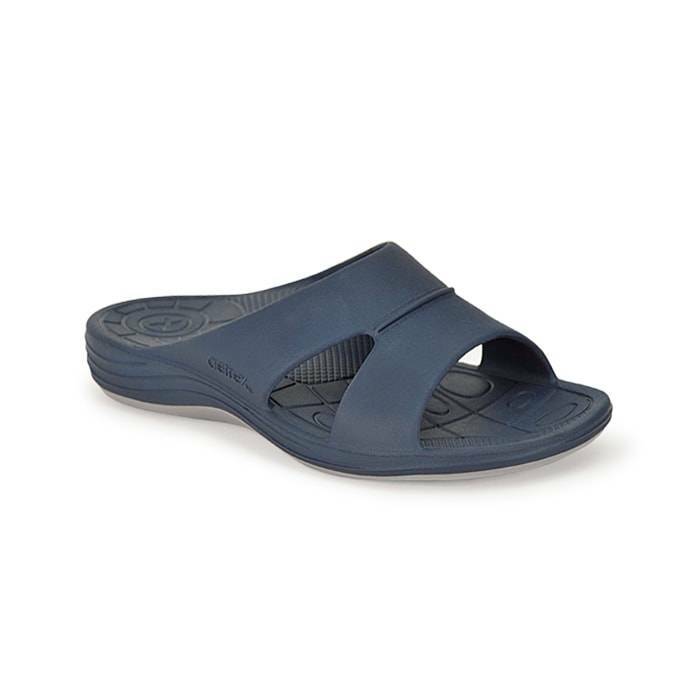 The classic Olukai Women’s and Men’s Ohana Thong sandal is your go-to choice for a simple beach look. This popular sandal is great for plantar fasciitis pain for its built-in arch support and anatomical compression molded footbed. Its built-in arch support and molded footbed allow you to stand for extended periods of time without experiencing much foot pain. In addition, this Olukai Ohana is built with an EVA Drop-In footbed to help stabilize your heels. Aside from being a good plantar fasciitis sandal, it’s also an excellent beach sandal. 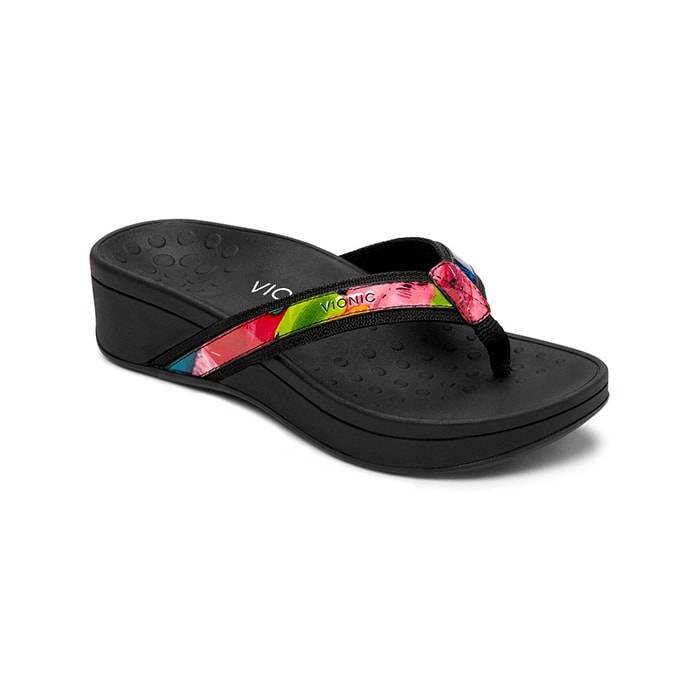 This Hawaiian inspired sandal features a water-resistant synthetic leather strap with soft, quick-drying jersey knit lining and neoprene backer. Finally, the sandal’s non-marking gum rubber outsole adds grip on wet surfaces. 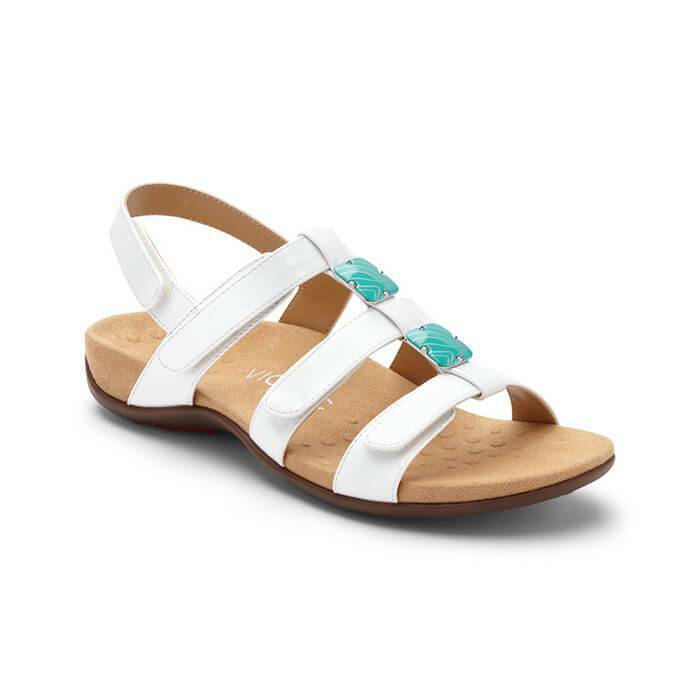 The Aetrex Gabby Sandals are uniquely personalizable sandals with three fully adjustable straps which are strategically placed to provide the most support you will experience in any sandal. Most importantly, the Gabby features the Aetrex “Healthy 3″: Lynco orthotic footbed for balance, alignment, and support. Not to mention, its memory foam customizes to your foot with slow recovery memory foam cushioning. Finally, this sandal features an Anti-microbial technology to keep feet fresh. The Vionic Women’s and Men’s Tide sandal features the same great Orthaheel Technology and fit you’ve come to love and expect from Vionic. This Tide is one of the best sandals for plantar fasciitis as its Orthaheel technology helps promote alignment from the ground up. So much that its Tri-planar Motion Control footbed with a deep heel cup helps stabilize, support and realign your feet back to their natural position. In addition, the Vionic Tide features a lightweight, flexible medium-density EVA midsole which absorbs shock, reducing stress on your feet, ankles and knees. Finally, a durable TPR outsole helps improve your traction for a more secure step. Overall, Vionic as a brand is a perfect choice for all-day comfort and support.This light, lining-free MEPHISTO ladies’ sandal has a unique cork footbed that ensures soft, stress-free walking. The glove-soft leather uppers and light wedge guarantee optimum wearing comfort. The Mephisto Women’s Helen sandal has a unique cork footbed that ensures soft, stress-free walking. Plus, its glove-soft leather uppers and light wedge guarantee optimum wearing comfort. This Helen features Mephisto’s Soft-Air Technology midsole which reduces the shock from walking to an absolute minimum. This relieves the joints, vertebrae and the spine – it is like walking on a soft carpet of moss, making you feel fit and full of energy even after many hours of wear. In addition, the adjustable buckle allows for a personalized fit. Boasting of rich, soft, supple full grain leather upper, the Dunham Men’s Nolan Fisherman Sandals offer extended durability and wear. With a detachable polyurethane foam and EVA insole, it provides exceptional cushioning support and moisture control. And with rubber outsole pads for added traction and full grain leather for style, you’re ready for whatever the day brings. Lynco Women’s and Men’s Slide Sandals by Aetrex are stylish and comfortable slides, designed to support your feet all day long. These slides are made from UltraSKY, injected EVA to provide extreme cushioning, shock absorption and durability. Not to mention, Lynco slides are made with a dual density outsole that provides extra cushioning your heel and ball-of-foot, plus a soft metatarsal cushion reduces stress at the forefoot. With Lynco Slides you’ll feel like you’re walking on air and enjoy the most comfortable footwear experience. With Orthaheel technology, the Vionic Women’s High Tide sandals help reduce stress on your feet by stabilizing and supporting each of your steps. The orthotic-grade footbed supports your feet from the ground up. As for style, a leather-trimmed upper and fashionable wedge heel provide a look you’ll love as well. Finally, this sandal features a dual-density midsole for optimal comfort. Where to shop for best sandals for plantar fasciitis? If you prefer to try-on your next pair of best sandals for plantar fasciitis, we have nine Lucky Feet Shoes comfort shoe stores in Southern California. Which are located in Santa Ana, Anaheim Hills, Rancho Cucamonga, Riverside, San Dimas, Long Beach, Temecula, La Quinta, and Palm Desert. Therefore, we invite you to stop by for a FREE FOOT ANALYSIS and try on our best sandals for plantar fasciitis. In addition, we have a large selection of comfort shoes, wide shoes, arch support, and custom orthotics! 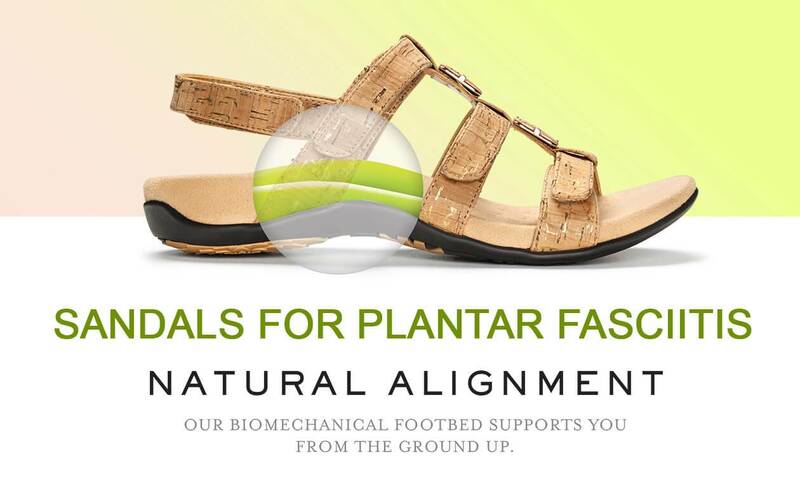 We carry many comfortable plantar fasciitis sandals, shoes, heels, walking shoes, running shoes, casual sneakers, clogs, wedges, flats, booties, and boots. Don’t let plantar fasciitis keep you from enjoying you the warm weather! Schedule a free foot analysis today!